How can I detect heart complications and diseases in my pet? Regular check-up appointments with your family veterinarian are essential in making sure that your pet is heart-healthy. In many cases, your family veterinarian will be able to detect a heart complication through listening to the beat patterns, X-rays, EKGs, and/or performing routine blood tests. If an abnormality is found, he or she will refer you to a Cardiologist at VRC. What symptoms might my pet display if he or she is experiencing a heart problem? If your pet has progressing heart disease, he or she may show observable symptoms. In dogs, these symptoms include gagging cough, fainting, weakness or reluctance to exercise, rapid resting or sleep breathing rates (more than 30 breaths per minute), and abdominal swelling. Cats may faint, have an increased rate of abdominal breathing, experience lethargy, painful limbs or limb paralysis, and they may hide more than usual. Be sure to make an appointment with your family veterinarian as soon as possible if you witness any combination of these symptoms in your pet. What is a cardiac consultation at VRC like? A cardiac consultation at VRC consists of a thorough evaluation of the heart and includes a physical exam, echocardiogram (test that displays real-time heart structure and function imaging), Doppler ultrasound, blood speed studies, and electrocardiogram (test that monitors the heart’s electric activity). 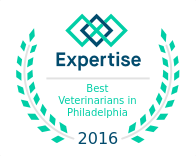 At VRC, we utilize state-of-the-art equipment to perform all tests, which are each essential in effectively evaluating your pet’s heart. Can I be present during my pet’s cardiac examination? Yes, we encourage you to be with your pet during his or her cardiac consultation. This will help your pet feel calm and comfortable, and also allow you to observe the heart tests being performed. After the exam, please feel free to ask any questions that you may have about the consultation and your pet’s heart health. Can I pick and choose which cardiac tests are performed on my pet? No, we perform the same cardiac tests with each consultation. Our carefully selected series of tests are needed to decide the best medical treatment for your pet and to determine whether or not further diagnostic procedures are required. Are the cardiac tests painful for my pet? Not at all! All of our tests are completely noninvasive. The ultrasound has a massaging action that is completely painless and our EKG clips are nothing like what is used in human medicine; they are surprisingly comfortable. Your pet will be gently positioned on the side of a towel and will be awake and comforted throughout the entire procedure. The vast majority of pets require no sedation and there are no side effects to these tests. Many patients look forward to their visits with our team and have become close friends with our staff members! Do the tests leave any bruising or physical marks on my pet? Not at all! Your pet will look exactly the same and no one would be able to tell that he or she was in the hospital if you don’t tell them. We don’t even need to shave your pet for these tests, as we use alcohol to mat down the hair instead; a completely painless coupling gel is also applied for use during ultrasounds. Can my pet’s heart condition be treated? For the most part, if your pet is diagnosed with and treated for heart disease early on, he or she has a good chance at successful symptom management and living a long, healthy life. Once your pet is diagnosed, we have an extensive medical arsenal and will do what we can to provide your pet with a good quality of life for as long as possible. If your pet is diagnosed with a congenital heart defect at birth, surgery may be feasible to correct the condition. Early detection and a personalized treatment plan from a veterinary cardiologist will help manage your pet’s disease and improve his or her overall quality of life. Even advanced heart disease and heart failure may be treatable, so it is never too late for your pet to get a cardiac consultation. You have recommended that my pet take medication. How do I fill this prescription? At the end of the exam, the drugs that your pet needs can be dispensed at VRC. In many cases, your prescription can be filled at almost any pharmacy, so please feel free to price shop; however, a popular cardiac drug called VetMedin must be filled at a veterinary source. You can also utilize our online pharmacy with Vets First Choice for hundreds of guaranteed products and convenient shipping right to your home.